Videos provided by Crittenden Bros. Polled Herefords. 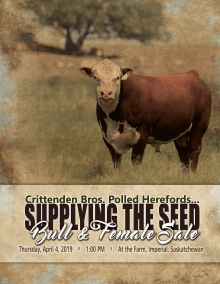 Please contact (306) 963-7880 Howard Crittenden for questions.